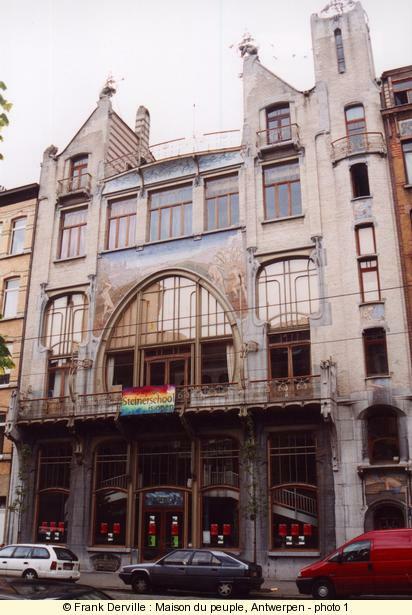 More than 100 Art Nouveau buildings. It is the second town of Belgium (after Brussels) and one of the two more important port of Europe. 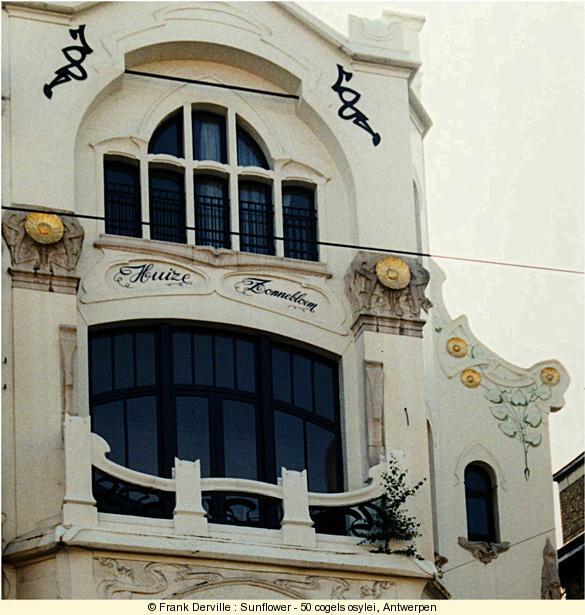 The town had the reputation of beeing very conservative, in some town projects, the architectural style was often mentioned in the command (it was always an historical style and never Art Nouveau). 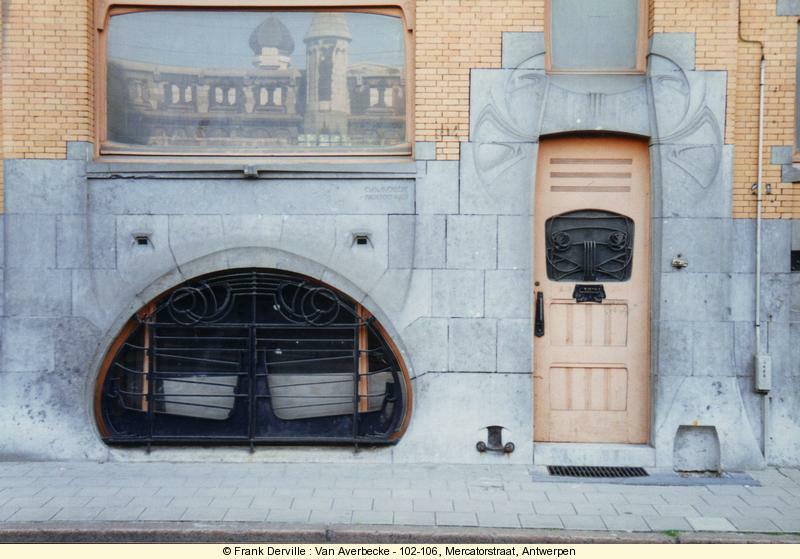 This is the Art Nouveau "golden triangle", a quater defined by three streets (Cogels Osylei, Waterloo straat and Transvaal straat) that was built mainly between 1890 and 1906. 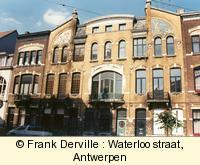 The urban planning of Zurenborg and the Cogels Osylei dates from 1894 (and half of the area was built in 1895, which let an important place for Art Nouveau that began around 1897 in Antwerpen. 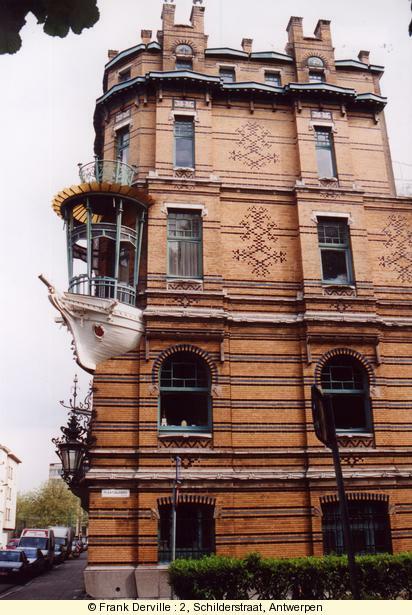 As An incredible number of Art Nouveau buildings are still preserved for your eyes pleasure. 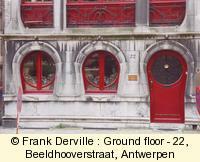 It is often presented as the most important Art Nouveau quater in Europe and in the world. 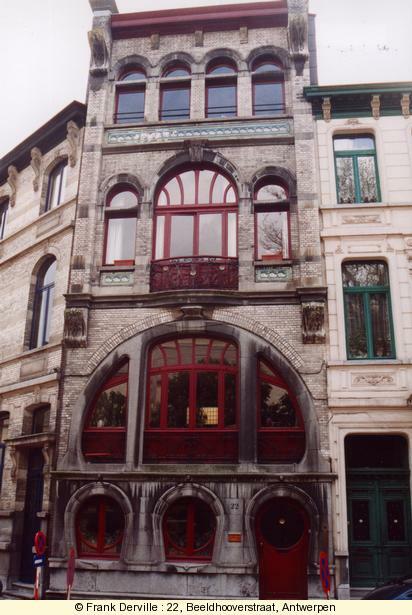 "Den Tijd", 59-63, Waterloo straat by Cols & Defever in 1903. 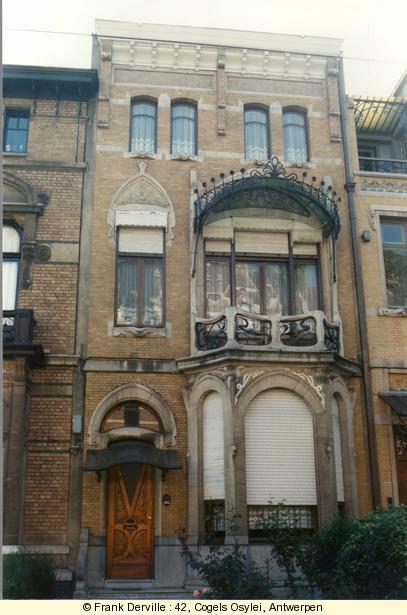 "The waterlilies" by Cols & Defever in 1900. see the nice covered balcony. Villa 4 seasons ("De Vier Seizoenen") by Joseph Bascourt in 1899 : The 4 symetrical villas corner a cross roads. 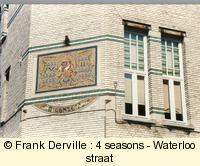 Each corner is decorated by a fresco dedicated to a season. Hier the Spring ("Lenze"). Quinten Metsys by J de Weerdt in 1904. 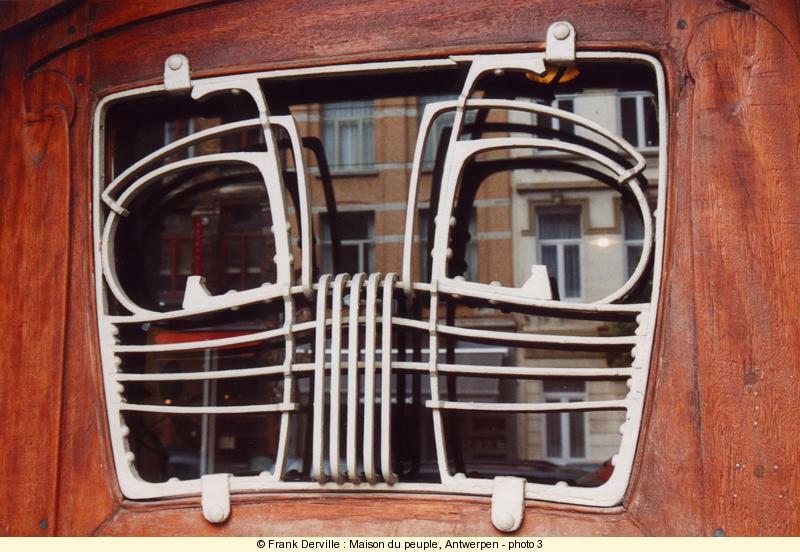 Imitates House Ciamberlani by G Strauven in Bruxelles. Villa "Lotus" and "Papyrus" by J Bascourt in 1901. 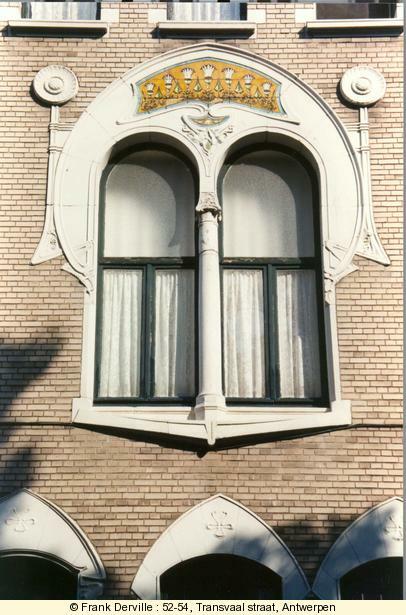 Villa "Sunflower" (Huize Zonnebloem) by Jules Hofman in 1900. The sunflower is used for the decoration of the façade. 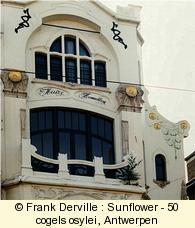 Nature and particularly sunflowers has been used to decorate Art Nouveau buildings. 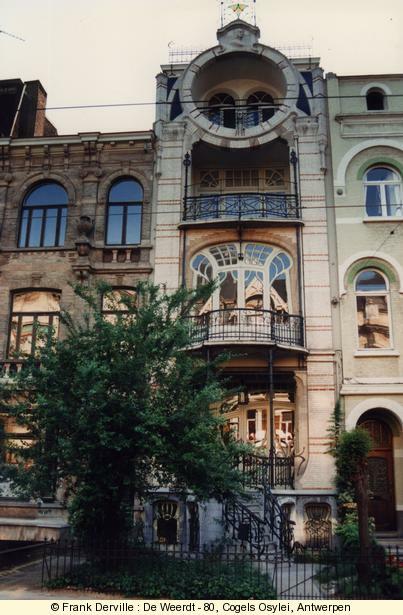 If the Cogels Osylei quater offers a real impressive homogenous Art Nouveau quater, ignoring the rest of Antwerpen would be a major mistake (when Art Nouveau books dare pointing out Antwerpen, they usely limit it to Cogels Osylei). I did not have enough time to visit all I would have like but the few pictures I have taken for you below will convince you easily. 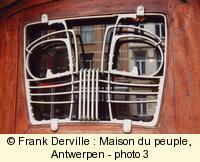 Maison du peuple (People house) by Van Averbeke in 1899-1903. Now transformed in a school. 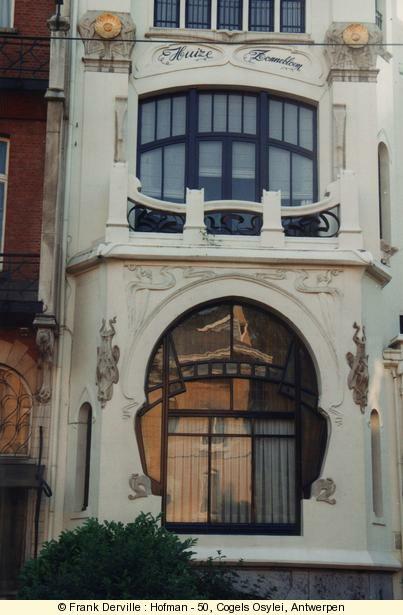 As for me, it is the greatest Art Nouveau building of Antwerpen. It has a large mosaic in venitian glass. 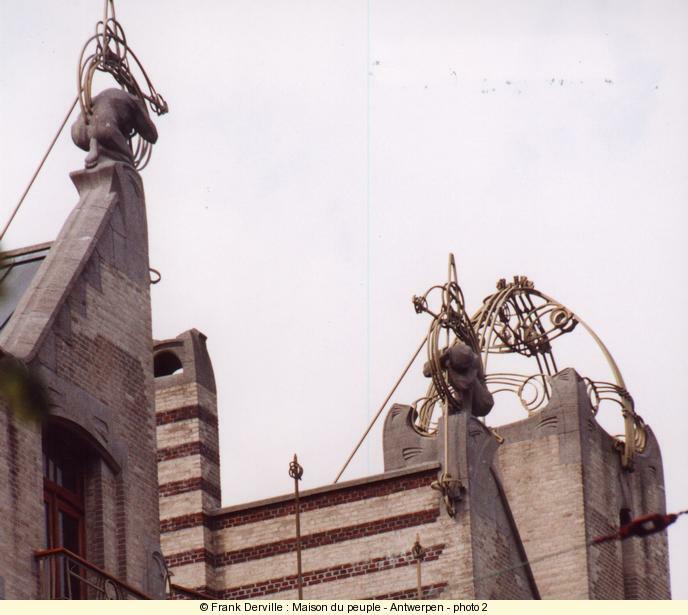 The structure of the building is made of wrought iron. 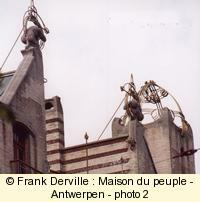 The "Maison du peuple" in Brussel was built by Horta but was destroyed. 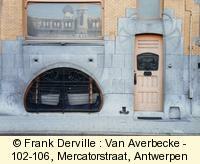 Mercatorstraat : another work by van Averbeke in 1905. Abstract lines and a high quality of every detail. 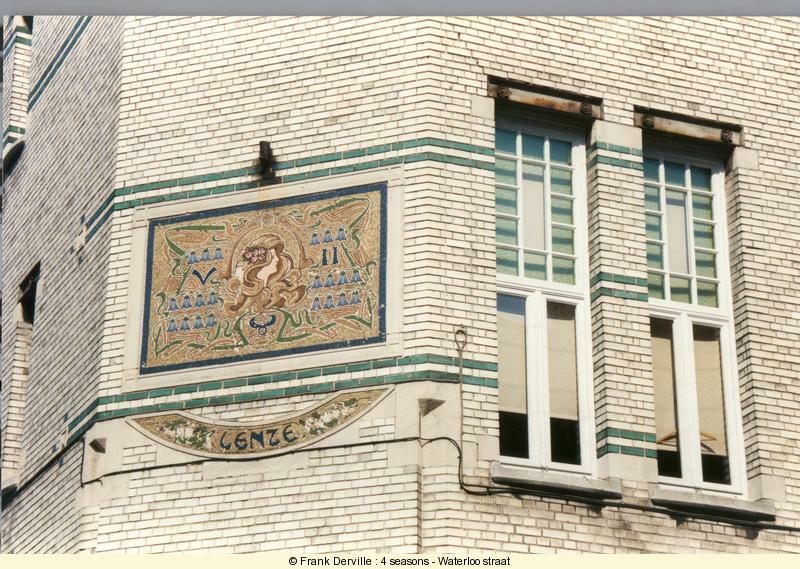 The Five continents, 2, Schilderstraat by Smet Verhas in 1901. 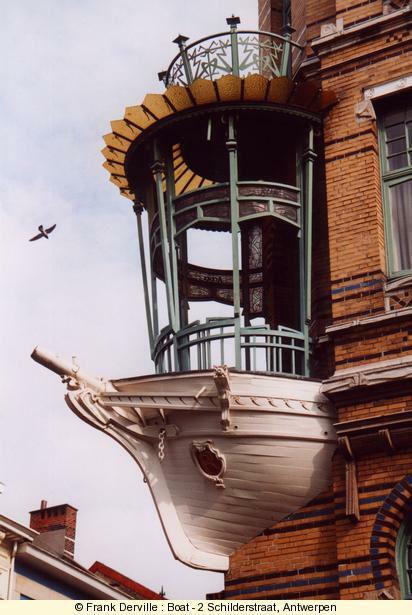 The owner was an "armateur" which explains the boat shape balcony. There is also a wonderful iron lamp behind the boat. 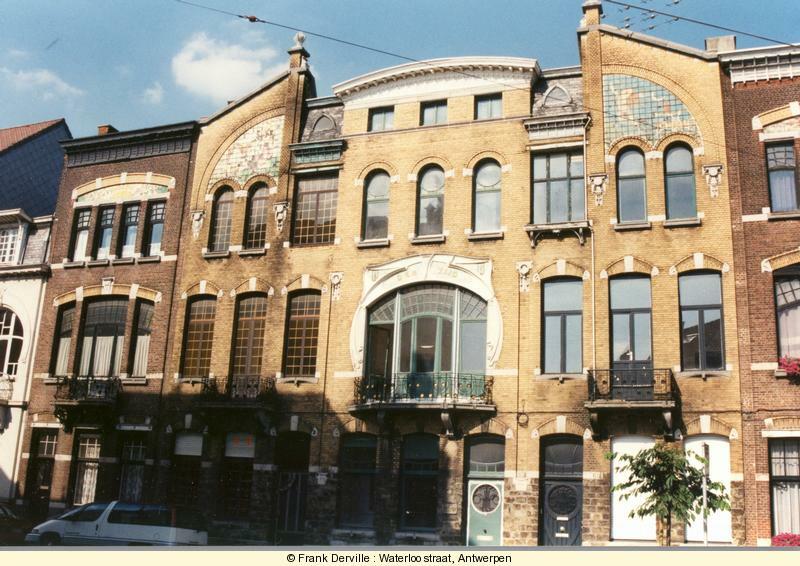 22, Bleedhooverstraat by W van Oenen in 1901. 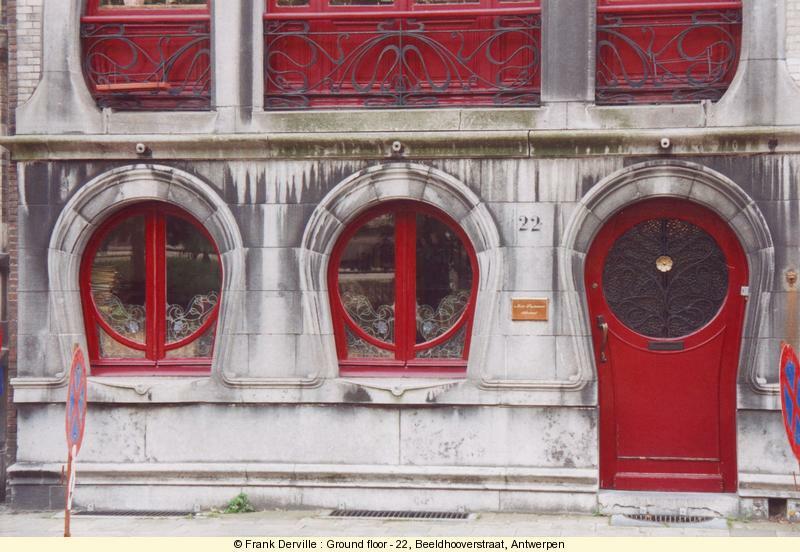 The horse shoe shaped windows and door of the ground floor are both a signature of Art Nouveau and have a singular touch. The master floor (1st floor) is easily identified with its large bay window. Few years later, with the genralisation of elevators, the master floor will move to the last floor.